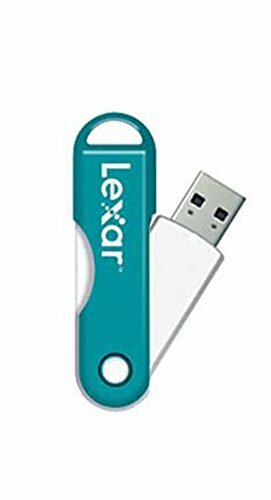 Lexar JumpDrive TwistTurn USB 2.0 Flash Drive 16GB, Assorted Colors Please Note: This is for 1 JumpDrive (No Color Choice) - Easily slips onto a keychain or a bag. Flash drives are important because theyre portable - you need the convenience of having them wherever you go. This flash drive easily slips onto a keychain or into a bag, so its always with you without being in the way. Sliding cover helps protect the drive and its contents. High-capacity USB flash drive lets you take your files wherever you go. Transfer, store and share your data, photo, music, video and other files. Compatible with Windows(R) PCs and Mac computers. Available in several colors (no color choice). 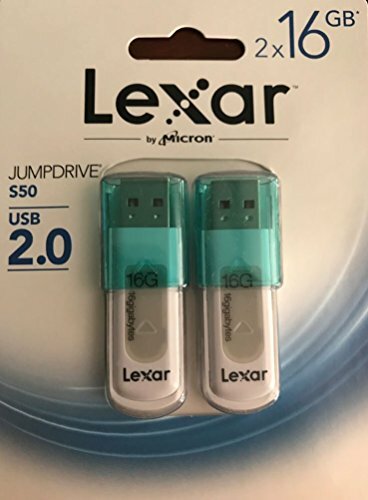 Quickly and securely transfer photos, videos, and files with the affordable, high-performance Lexar Jump Drive S75 USB 3.0 drive. The drive delivers speeds up to 130MB/s read, 25MB/s write for 16-32GB and 150MB/s read and 60MB/s write for 64-256GB. You can quickly transfer a 3GB HD movie clip in less than 1 minute, compared to the 4 minutes it takes using a standard USB 2.0 drive. And for added versatility, the drive is backwards compatible with USB 2.0 devices. Jump Drive S75 includes Encrypt Stick Lite software, an advanced security solution with 256-bit AES encryption to help protect your essential files against corruption, loss, and deletion. Easily create a password-protected vault that automatically encrypts data. Beyond its performance and good looks, Jump Drive S75 is designed for convenience. It sports a retractable connector with easy-to-use thumb slide, comes in a range of colors, and is available in capacities from 16GB-256GB. Flash drives help simplify data transfer. Their protability provide you with the convenience of having them wherever you go. This flash drive easily slips onto a keychain or into a bag, so its always with you without being in the way. Capless design with a rotating case to protect the drive and its contents. High-capacity USB flash drive lets you take your files wherever you go. Transfer, store and share your data, photo, music, video and other files. Compatible with Windows(R) PCs and Mac computers. 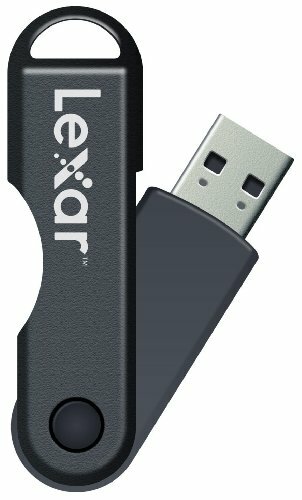 The Lexar JumpDrive S50 USB flash drive provides stylish, high-capacity portable storage, allowing you to easily transfer, store, and share files on the go. The drive sports a protective sliding cover, and is available in a different stylish color for each of its capacities. 4GB in Black, 8GB in Orange, 16GB in Teal, 32GB in Green and 64GB in Purple. Compatible with both PC and Mac systems, the JumpDrive S50 USB flash drive allows you to quickly and easily store a huge number of photo, music, and video files. Two-year limited warranty. The Lexar Jump Drive S50 USB flash drive provides stylish, high-capacity portable storage, allowing you to easily transfer, store, and share files on the go. The drive sports a protective sliding cover, and is available in a different stylish color for each of its capacities: 8GB 2-pack (Black & Green) 8GB 3-pack (Teal, Black & Pink) 16GB 2-pack (Black & Purple). Compatible with both PC and Mac systems, the Jump Drive S50 USB flash drive allows you to quickly and easily store a huge number of photo, music, and video files. 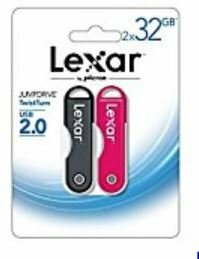 Lexar JumpDrive TwistTurn USB 2.0 Flash Drive 32GB, Assorted Colors Please Note: This is for 1 JumpDrive (No Color Choice) Easily Slips onto a Keychain or a Bag. 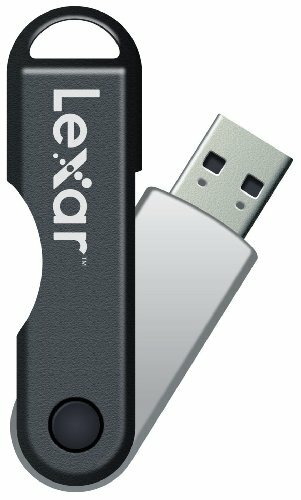 Lexar TwistTurn USB Jump Drive 2.0 32GB 2 year Limited Warranty, Windows 8/7 Mac OS X.
Lexar 256GB USB-3 Flash Drive Review and Speed Test. 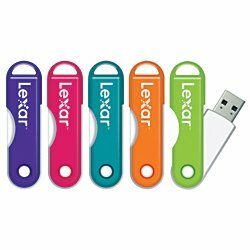 Compare prices on Flash Drive Lexar at ShoppinGent.com – use promo codes and coupons for best offers and deals. Start smart buying with ShoppinGent.com right now and choose your golden price on every purchase.